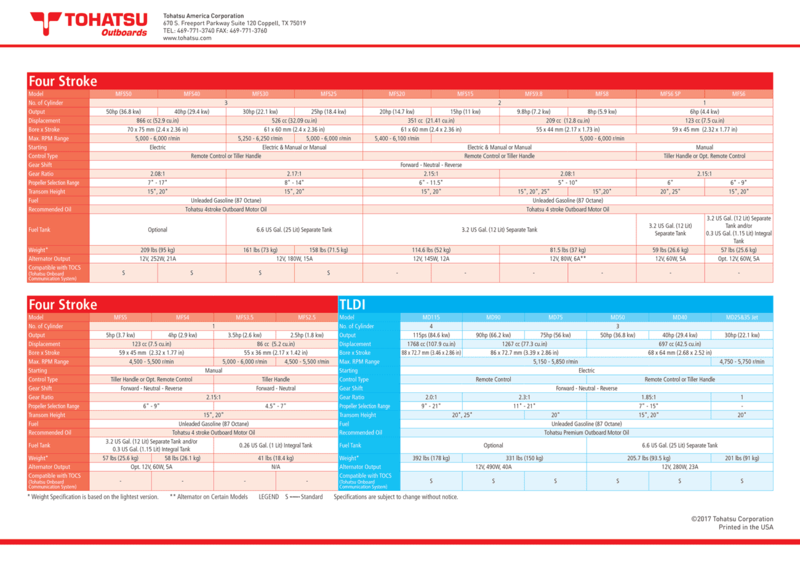 Click to enlarge specifications chart. Sail Pro Model! Designed specifically for sail boaters. 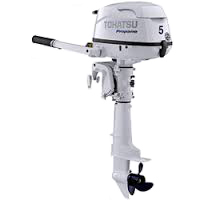 This powerful sailboat engine, available in a “long” and an “ultra-long” shaft, has a high thrust sail drive propeller to give you the power you need. It also includes a 12V, 60W, 5A charging system for charging your battery or powering external electrical devices and its own charging cable. 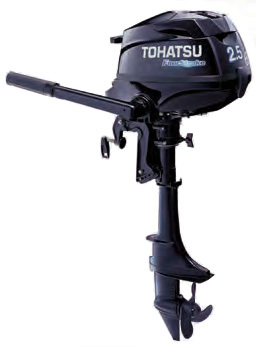 Sailing just got better with Tohatsu’s 6hp “Sail Pro” sailboat motor! 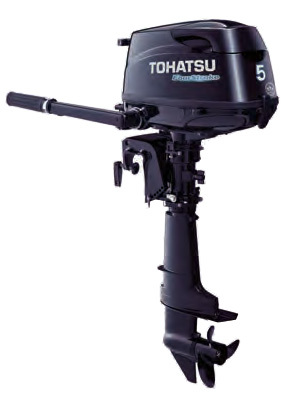 Remote Steering/Control models may NOT be shipped due to manufacturer restrictions and must be installed on your boat at our location by a TOHATSU Trained Service Technician . Prices shown for remote control models include installation. Contact us to purchase and schedule an appointment for installation. 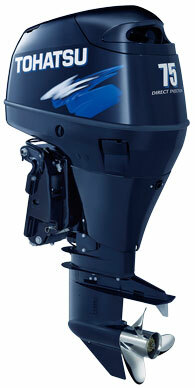 Whether you are cruising, fishing or working, the 30 hp EFI (Electronic Fuel Injection) will meet your needs. We are the first to offer a battery-less EFI system that provides quick throttle response and very smooth rides on the water. The 40hp EFI four stroke not only offers a more powerful ride while using less fuel, but is among the lightest on the water in its class. With proven reliability and performance, the MFS40 is every boater’s versatile choice for work, play or even once-in-a-lifetime memory making! 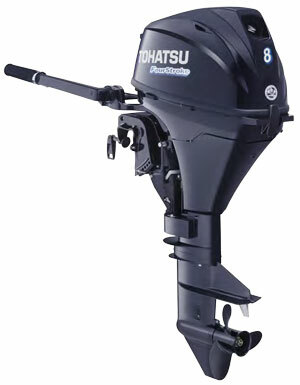 What is the one thing every boater looks for in an outboard motor? The lightest weight motor possible. 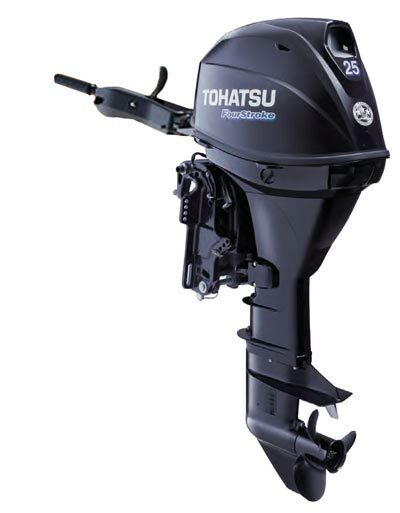 Tohatsu’s 50hp four stroke now comes in a second color option, Beluga White, allowing boaters to choose which engine color best fits their boat. 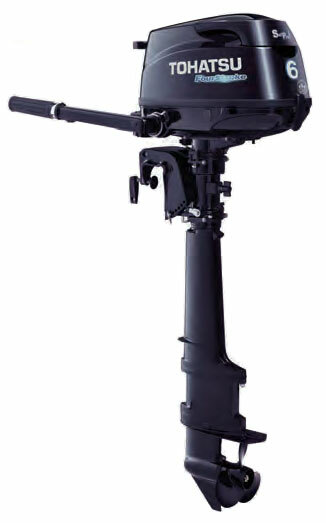 You asked and we listened by outfitting the 50hp EFI four stroke with an improved gear case with a lower gear ratio, giving you the increased low end torque your boat needs. The TLDI® Series are Tohatsu’s award winning outboard motors that have an established reputation for being compact in size while demonstrating highly desired features such as low emissions and high fuel economy that are demanded by the new generation of boaters. 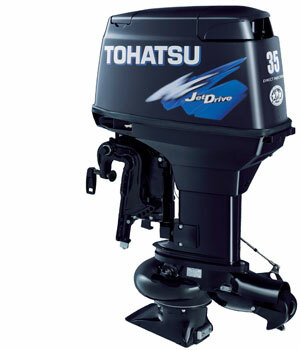 These 2-stroke outboards are powered by a direct fuel injection system and a 32-bit ECU (Engine Control Unit). The ECU gives precise fuel injection instructions in accordance to the operating conditions detected by the multiple sensors located on the motor which allows the engine to achieve outstanding fuel economy while meeting all emission regulations. If you’re looking for a tiller model, we now offer a multi-function tiller handle as standard equipment. This tiller handle includes all controls conveniently located on the handle for easy access giving you more control, better maneuverability and increased safety. 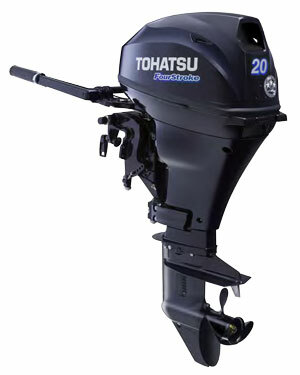 And our 40 hp TLDI® outboard weighs up to 15% less than competitive 4-stroke outboards and meets EPA emission regulations. This outboard is every boater’s dream. 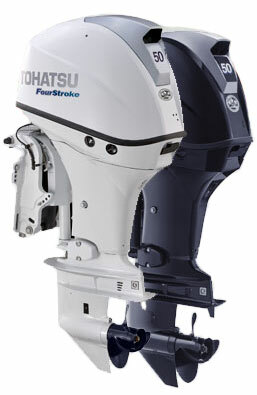 Tohatsu even won the Motorboating magazine’s “Editor’s Choice Award” for this new outboard! 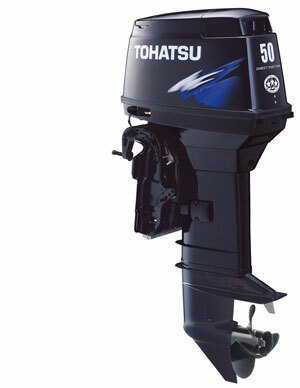 The 50 hp TLDI® is heralded as the outboard to buy for the 21st century! If you’re looking for a tiller model, we now offer a multi-function tiller handle as standard equipment. This tiller handle includes all controls conveniently located on the handle for easy access giving you more control, better maneuverability and increased safety. 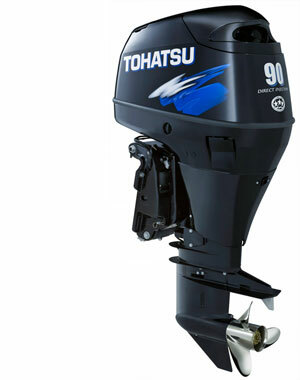 The Tohatsu 90hp TLDI® outboard is one of the premier members of our new generation of direct injection outboards. 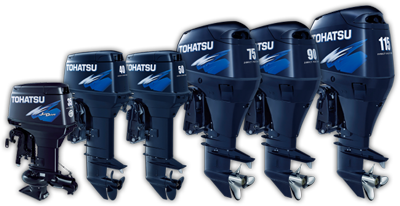 We developed our TLDI® line of outboards to provide consumers with the best possible choice for environmentally conscious yet powerful outboards. We have all of that and more in the 90 hp TLDI®.